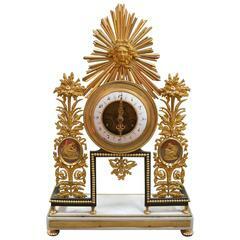 19th century gilt bronze ormolu and marble clock set. Measurements of candelabras 29.5" H x 13" D.
19th century French gilt bronze clock. Clock is in working condition. 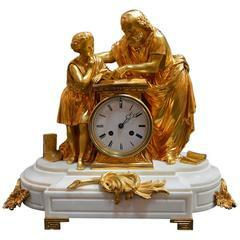 French doré bronze and white marble clock with figures of a scholar with a young student. 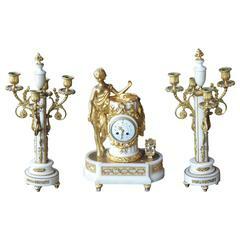 Detailed marble French clock set embellished with gilded bronze. 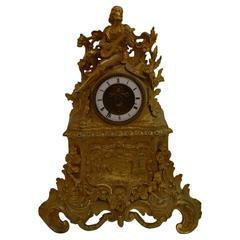 19th century sunburst clock. Bronze with marble base.